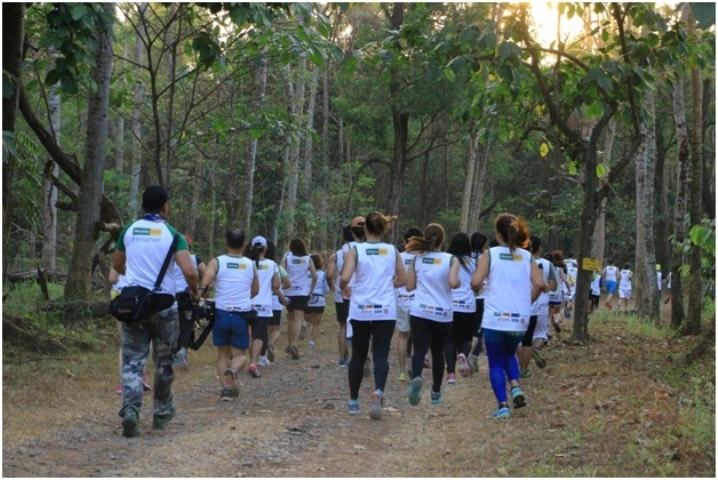 Around 500 individuals joined the first “Run for Environment” for the benefit of the La Mesa Watershed. Wilcon Depot recently held a run for a cause at La Mesa Watershed as its beneficiary with 3K, 6K, and 10K race categories. Employees, friends, and loyal customers joined the said run to support the campaign for environment. Aside from the race, runners from different walks of life also participated in, free zumba, and physical fitness activities. The Run’s proceeds were turned-over to ABS-CBN Lingkod Kapamilya Foundation’s Bantay Kalikasan project, the Save the La Mesa Watershed. “We all know that we have responsibilities to our nature. We only have one environment, and this is our way of advocating the preservation of the environment,” said Rosemarie Ong, SEDP, COO, Wilcon Depot. ABS-CBN Lingkod Kapamilya Foundation’s Managing Director Susan B. Afan is looking forward to Wilcon’s continuous support to Bantay Kalikasan’s environmental advocacies. In Photo: (L-R) Mark Belo-Assistant Vice President-Wilcon Depot, William T. Belo, President and CEO-Wilcon Depot; Susan B. Afan, ABS-CBN Lingkod Kapamilya Foundation's Managing Director; and Dave Azurin, Area Manager-ALKFI-Bantay Kalikasan-La Mesa Watershed during the turn-over of donation to Bantay Kalikasan.